It’s sad that this is still true in our greatly civilised and non-third world countries, that women do earn less. That’s not the main point of this post though. I would like to ask the media outlets to ignore people who add no true value to the world. That would probably lead to empty daily newspapers and silence on TV news stations, which would be a financial tragedy. Yet it’s the media that chooses who we focus on. Why focus on someone who is a sexist nationalist like Janusz Korwin-Mikke? 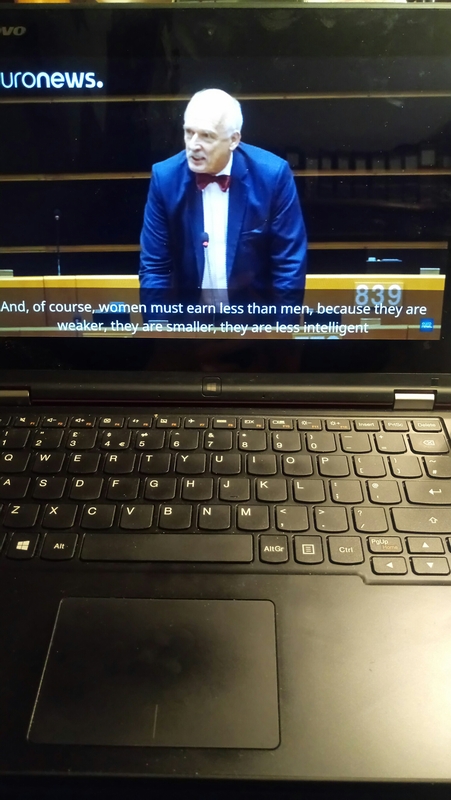 The fact that he is a member of the European Parliament allowed him to make his sexist speech and be heard by the world.